I'm going to share a couple of math sheets my class is working on right now. My kids are pretty good at addition to 12, but we need more practice with subtraction. 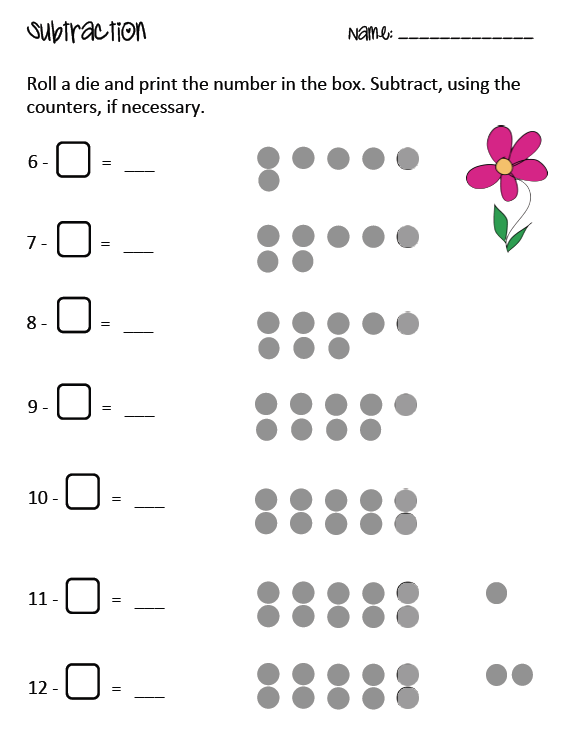 With these two sheets, you just roll a die, print the number in the first box then subtract. 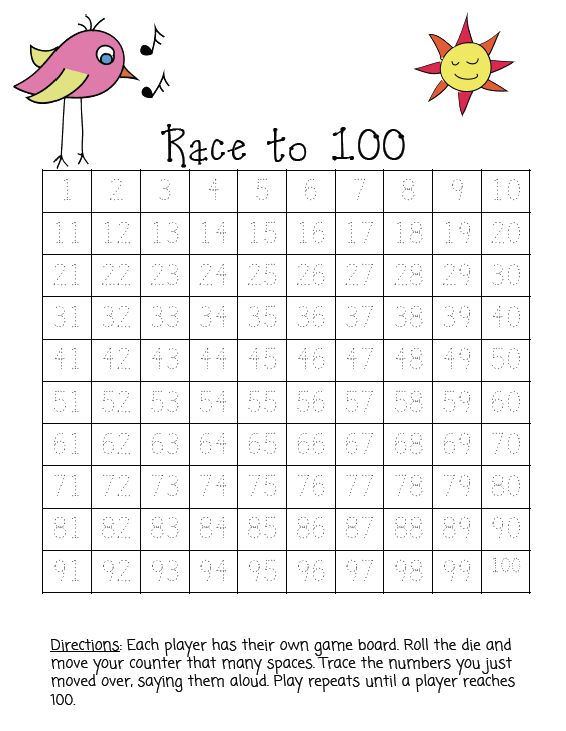 I also have a few little people who are still learning to name and print the numbers to 100. With this game everyone uses their own game sheet. You can play in groups of 2 to 4. The first player rolls a die and moves their counter that many spaces along the 100 board. If they rolled a 5 then their counter is sitting on the 5, and they then trace the numbers 1 to 5. While they're doing that, the next player can begin. Play continues until the first person reaches 100. With this type of game I'll work with my struggling students so that I can make sure they're naming the numbers aloud. For the more able students, they tend to monitor each other. Have a great day. It's sort of starting to feel like spring on southern Vancouver Island. Yay! 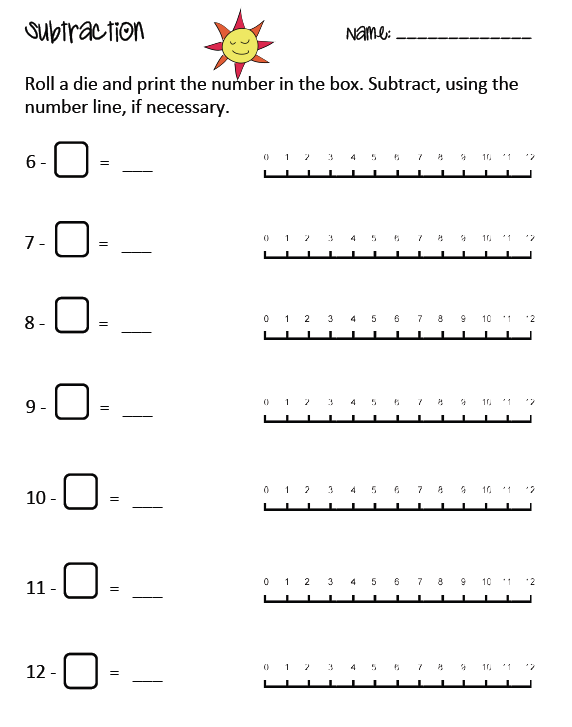 Love the subtraction sheets! Thanks for the freebie. Love the race to 100! I have a few kiddos who mix up their numbers to 100 as well! This will be great! Thanks! I'll use these soon! Thank you so much! My owlets love having dice games, and I love the singing bird! 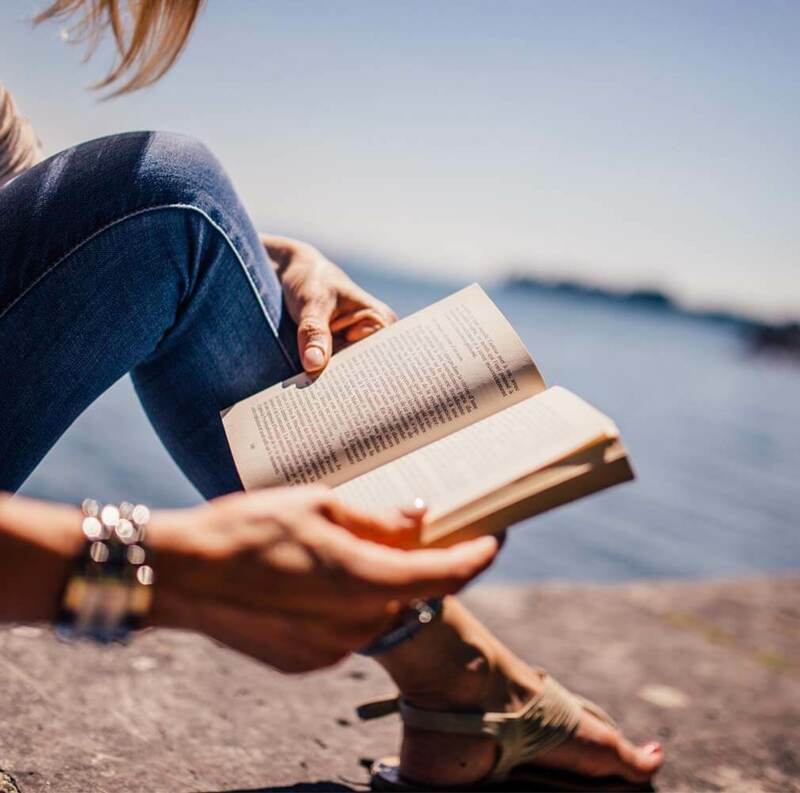 It's awesome to go to see this website and reading the views of all colleagues concerning this post, while I am also eager of getting knowledge. These will be great for some of my struggling kiddos. Thank you! !